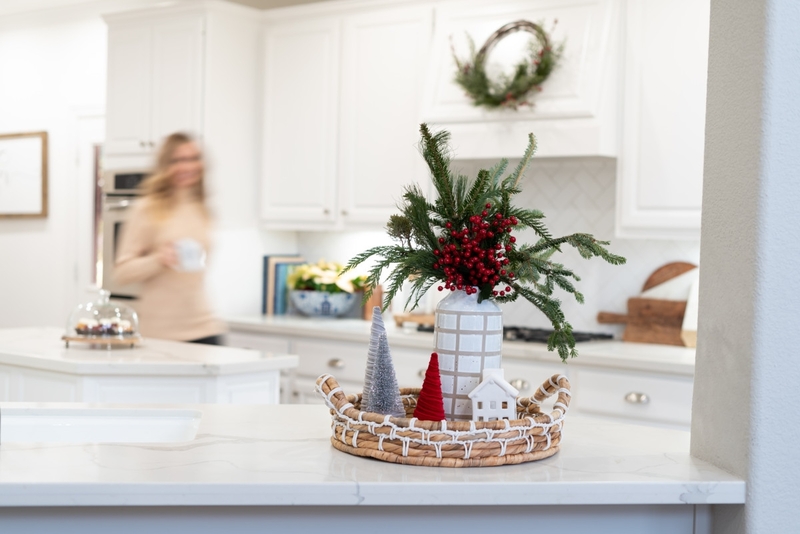 Welcome to my very first Styled For The Season holiday home tour featuring our newly renovated home and our Christmas home decor! 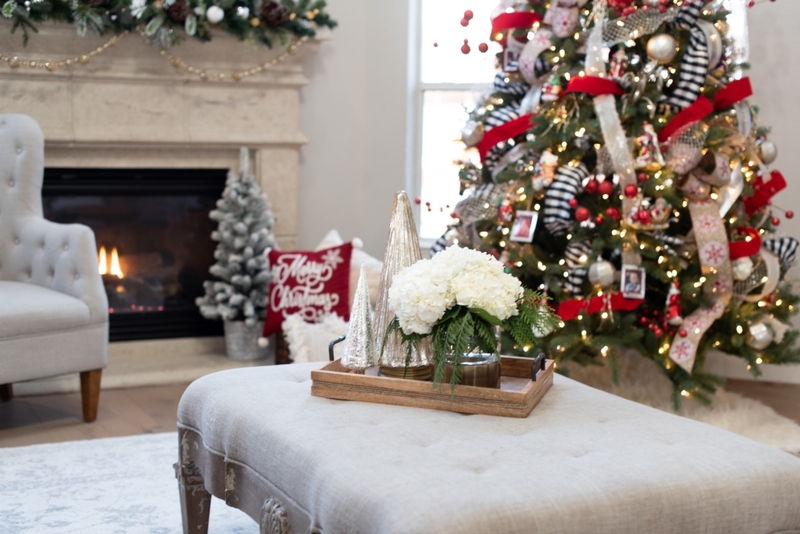 If you are coming from Jennifer’s page over on Decor Gold Designs, welcome! Jennifer is a dear neighbor of mine and I love her eye for detail. At the end of my tour, I will be sending you over to the next stop to enjoy every house in the tour. All of these ladies are extremely talented dear friends and I can’t wait for you to see their holiday homes. 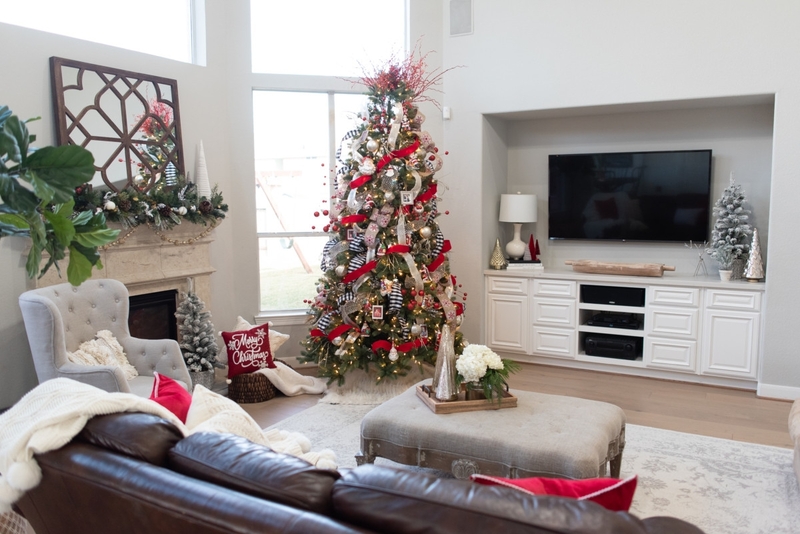 Because we just finished our home renovation two weeks ago ( see what our home previously looked like) I had to scurry to get our home put back together and get the Christmas decorations up. 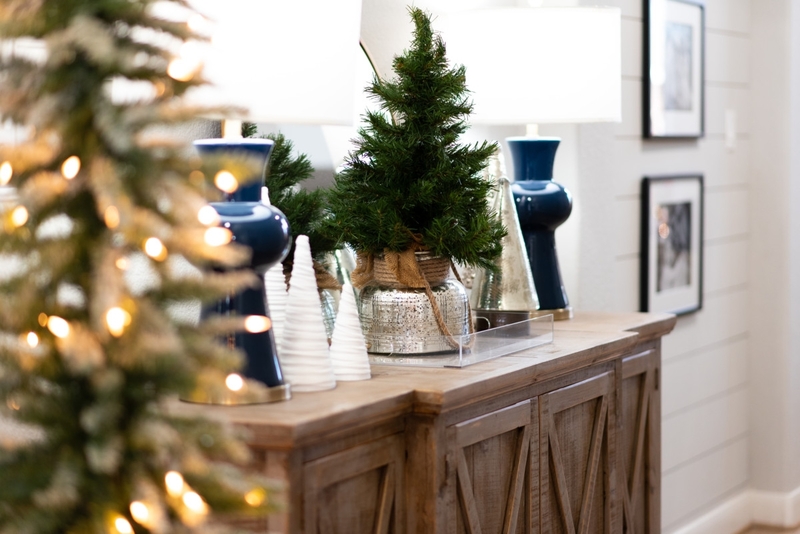 I turned to my favorite home bloggers and Pinterest for inspiration. Previously our home was very dark. 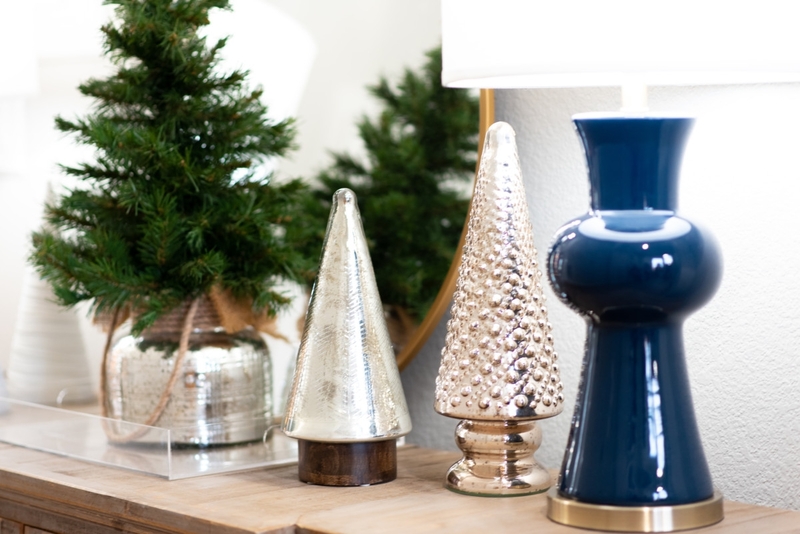 With our new color palette I knew I needed to update my 12 year old Christmas home decor! 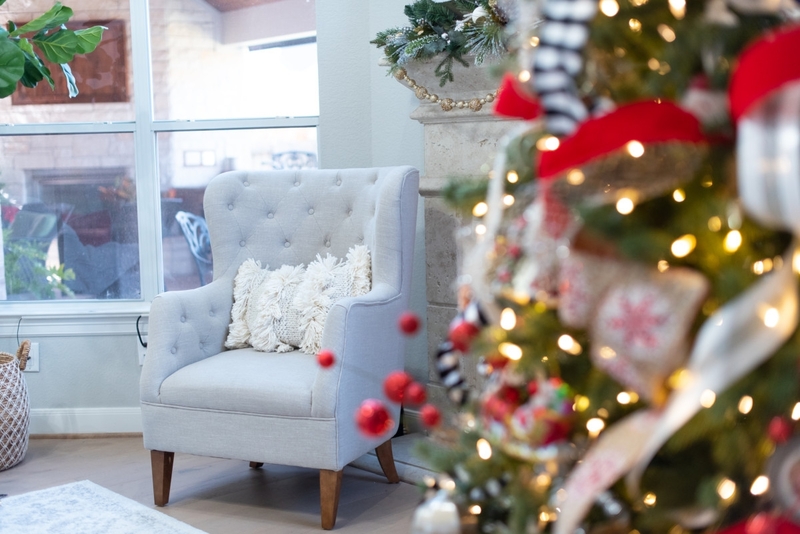 Our home now is very neutral but I love the traditional Christmas colors so I kept subtle pops of red in my decor throughout the house. 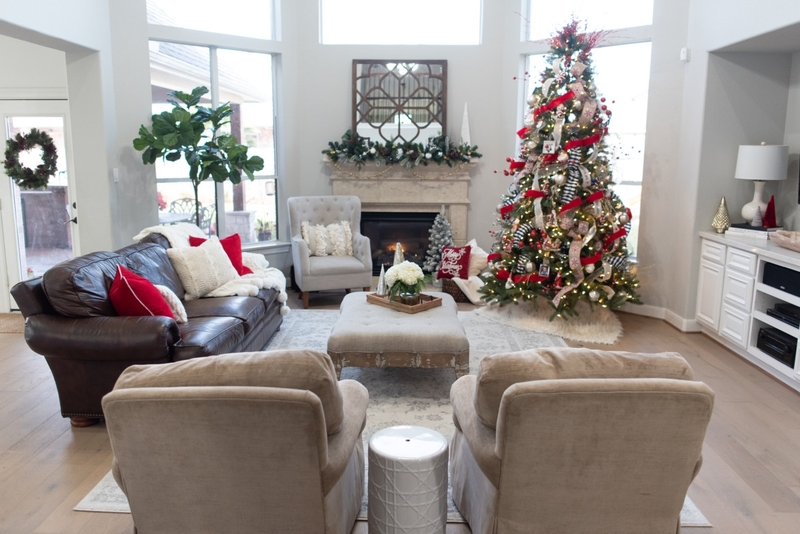 Starting with our living room, we kept our tree traditional with a silver, gold and red color palette. One of my favorite traditions is collecting glass Santa Claus ornaments. Over the years I have picked them up from our travels or been gifted ornaments from students, friends and family. They all hold a special memory. I also buy a picture frame ornament with the year on it and put a Christmas picture of the kids in it. Our tree is very sentimental and I love drinking my coffee in the morning looking at all of our special ornaments. 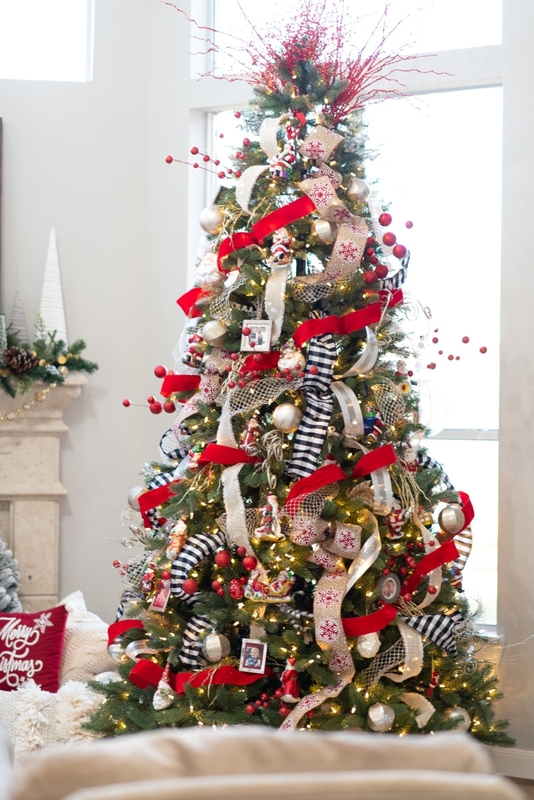 This year I did my ribbon cascading down the tree but last year I was strapped for time and used this easy Christmas tree bow tutorial. The trick I use to get my garland to stay on the mantle is using clear command hooks. I lay them flat on top of the mantel with the opening of the hook facing the wall. I use florist wire wrapped around the garland and then wrapped around the hook to hold it in place. Command hooks are great because you can pull the little tab and they pop right off without damaging anything. I also use these hooks to hang our stockings. This Moroccan pillow cover is one of my favorites. It is so fun and adds great texture to the grey linen chair. 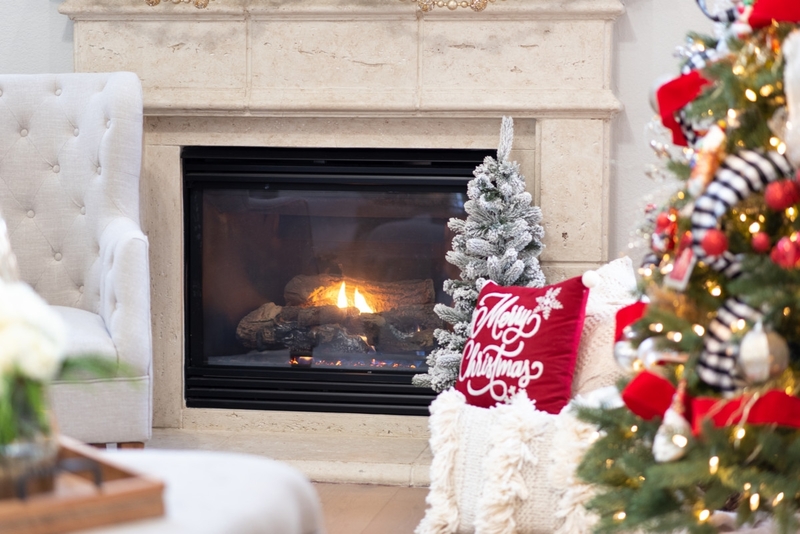 Our fireplace still needs a minor facelift. It is cement and has a slight beige cast to it. I plan on using Romabio limewash paint to give it a whitewash effect. It requires no primer and can also be used on brick! 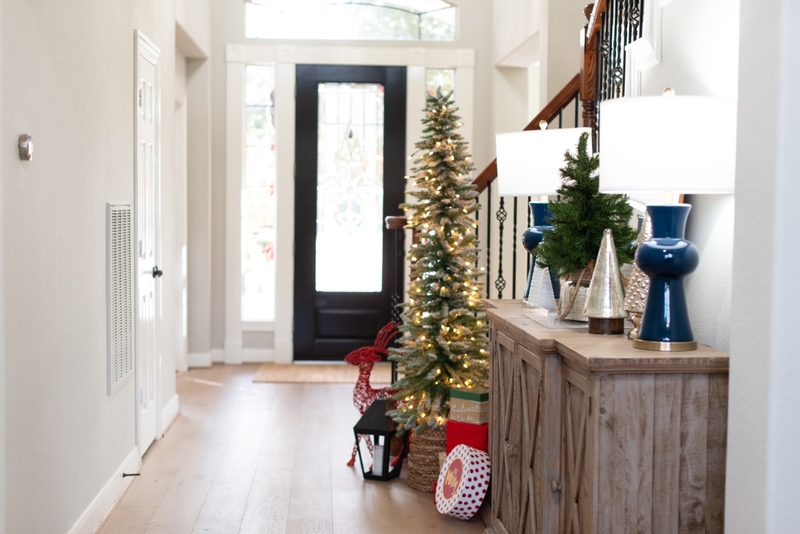 Leaving the dining room, let’s mosey down the main entryway. This area took on a big makeover. We had a long entry hall with zero personality. 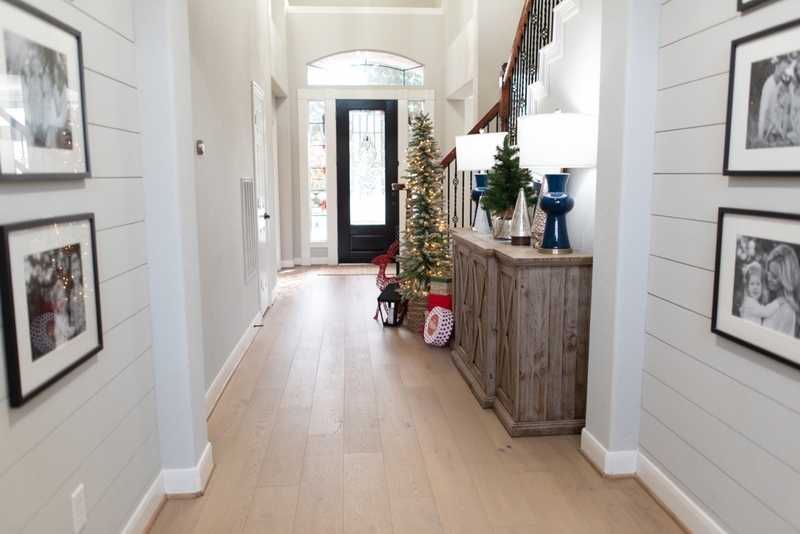 In the two niches we inlaid shiplap to help break up the length of the hallway. We added three large frames with black and white family pictures so this wall would truly be a statement in our home. 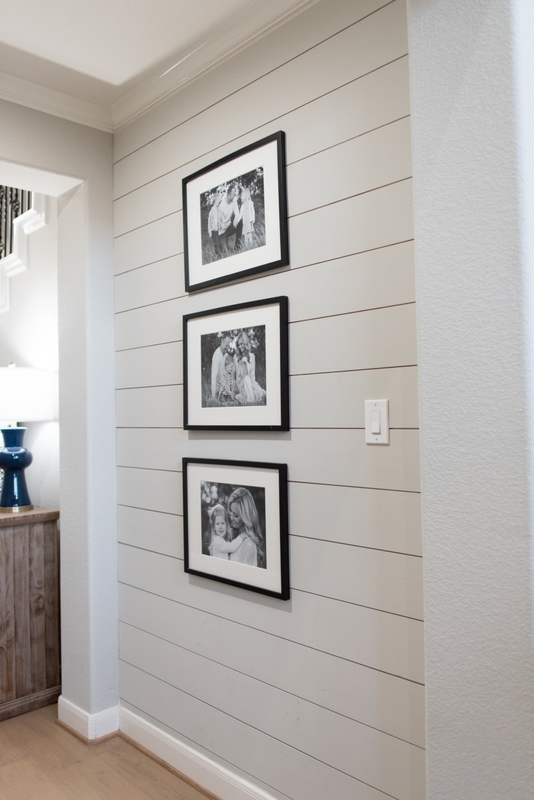 As to not damage the shiplap, I used the command velcro strips to hang the pictures. 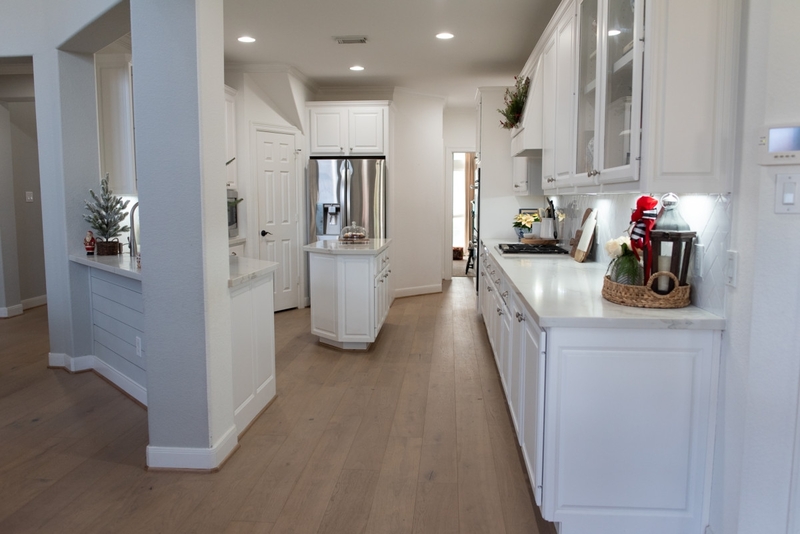 Last but not least we will travel over to the room with the biggest transformation…THE KITCHEN! Previously it had dark brown cabinets with orange tile, dark brown backsplash and dark brown granite. None of the elements coordinated. Our home also faces north and south so we get very little natural light in our house. The kitchen is long and narrow and with everything being dark brown it felt like a cave. 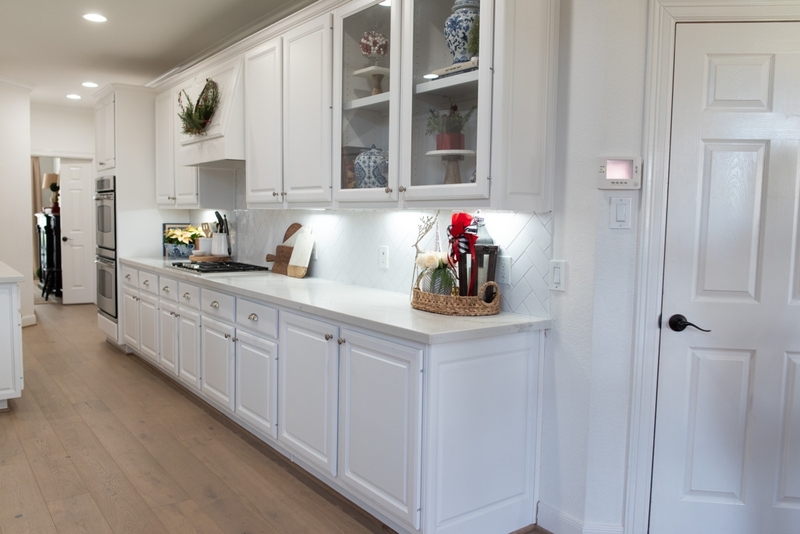 See what our kitchen previously looked like HERE. During the holidays I like to keep the Christmas home decor simple. We make a lot of treats and constantly entertain so I like it to feel open and clean. 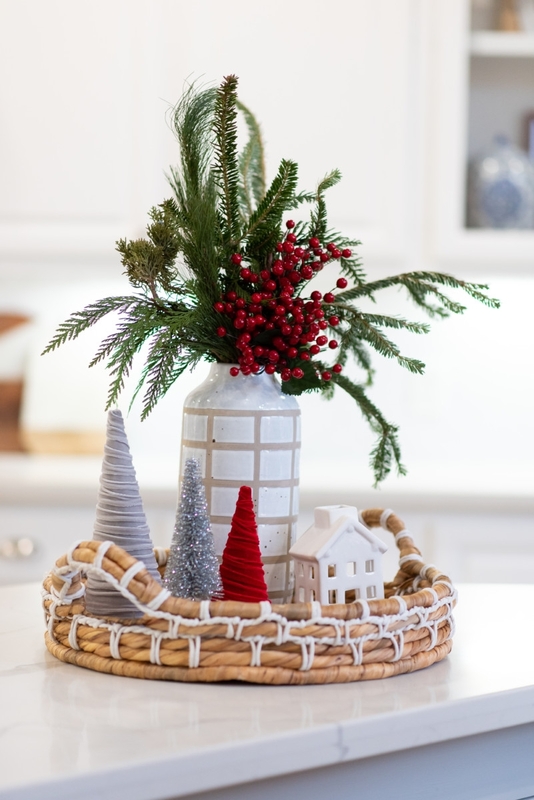 Please also visit these other talented ladies and friends in the tour for more ideas and inspiration on decorating your home for the season…or just to enjoy the view! Merry Christmas!! 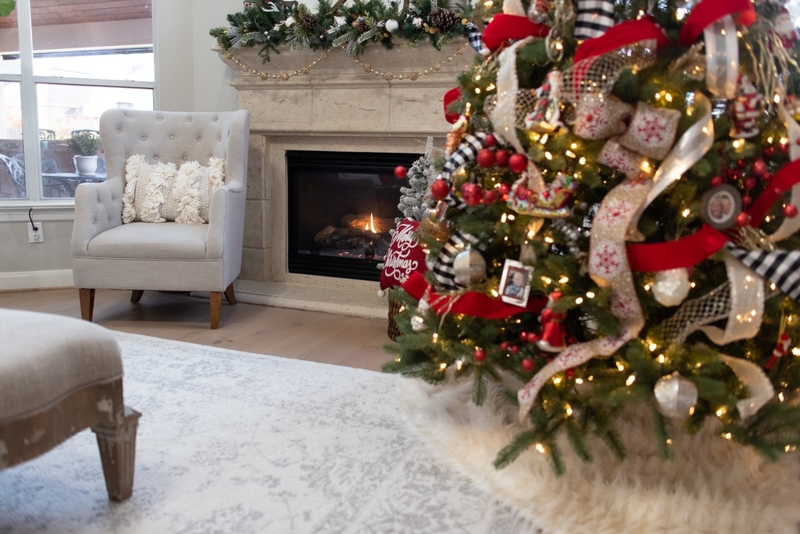 Beautiful…the remodel and Christmas decorations! Your tree came out gorgeous! 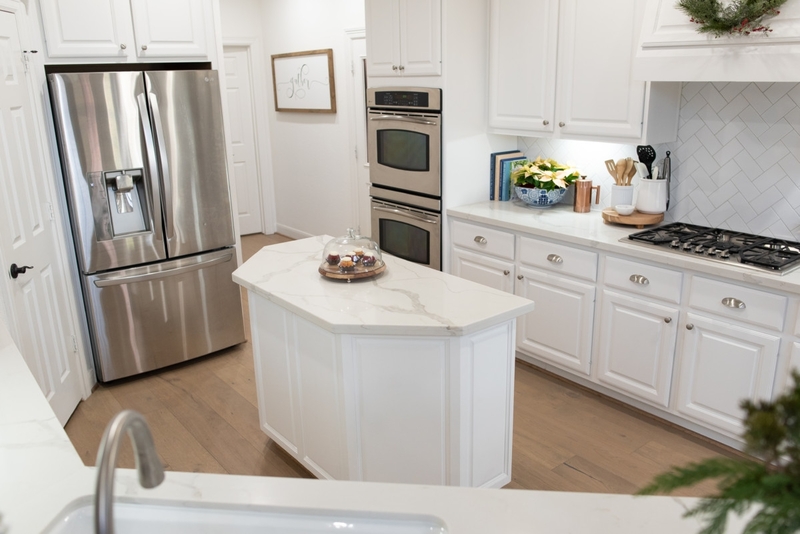 Can you share what the countertop is? We are remodeling in January and this looks very similar to a sample we have picked. Thank you! Hi Brandi! They are calacutta quartz and I LOVE them! Good luck with your remodel! Sara, I’m so glad you joined the tour!! 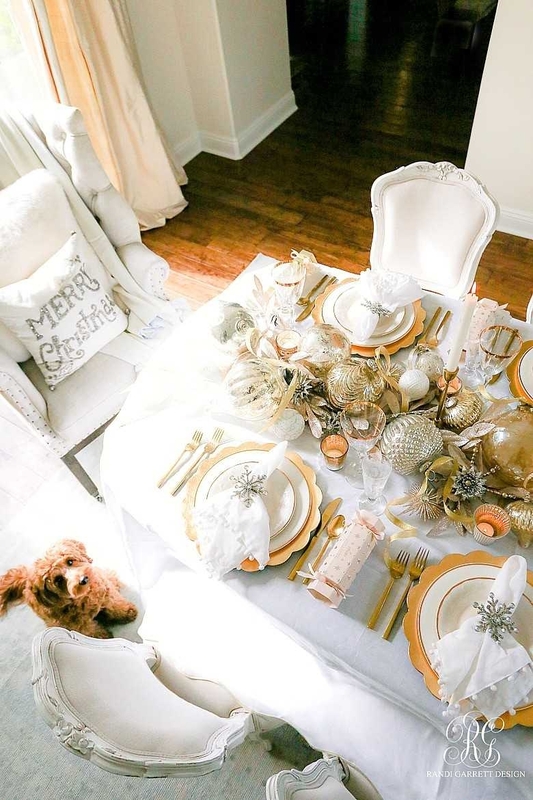 Your Christmas home is absolutely stunning and I could’t love it more!! 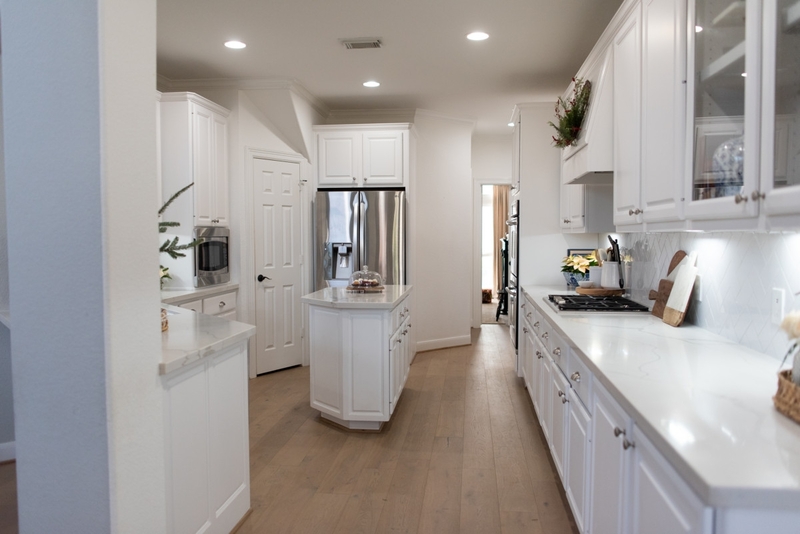 I also love your newly updated kitchen and those floors are calling my name – absolutely gorgeous and I love ALL of the selections you made for the renovation!! I love everything Sara!! 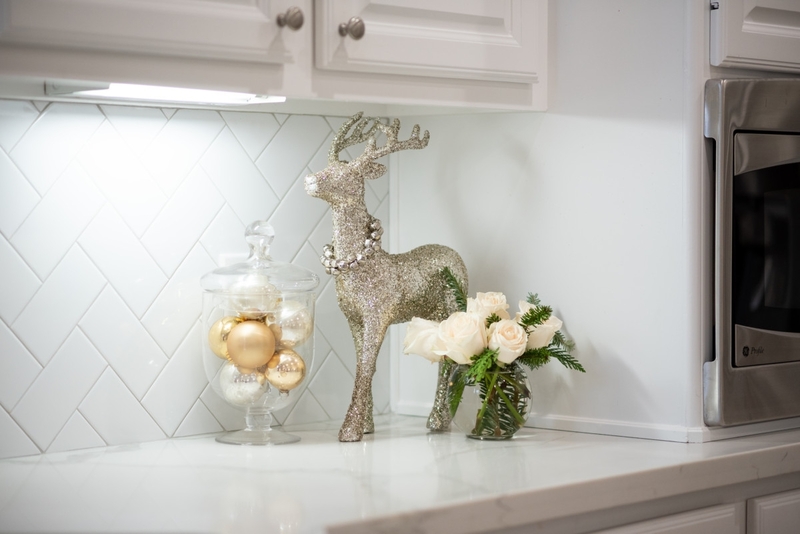 How fun to be able to decorate a newly remodeled home just in time for Christmas! I used to buy the frame ornaments for my boys too when they were younger. Still cherish those! Merry Christmas!! 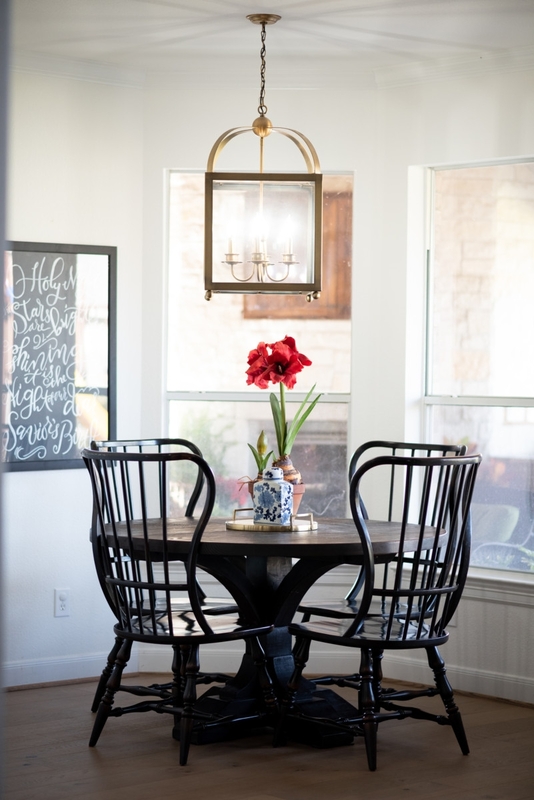 I absolutely LOVE how your renovation turn out! So fun to be celebrating in your new space. Your tree is gorgeous! Merry Christmas, sweet friend!